The 2017 Toyota Sienna is back and more powerful than ever. It has a new transmission and more horses under the hood. You’ll find this family vehicle at Pitts Toyota dealer serving Dublin, GA. When it comes to performance, the driver can always use a few more horses. The new Sienna has a refined 3.5-liter V6 that allows the driver to command 296 horsepower. That’s 30 more horsepower than before. You also command 263 lb.-ft. of torque thrust, a gain of 18 lb.-ft. Drivers will notice better passing performance and quicker acceleration. Whereas the previous Sienna had a six-speed automatic, the new one has an eight-speed. This transmission helps you do more with the van’s power outlay. Engineering advances have expanded lock-up range and secured greater fuel efficiency. The van’s unitized body with anti-vibration sub-frame ensures better handling and a serene ride quality. The new fuel economy figures beat the previous ones. This three-row ride is expected to earn a remarkable 27 mpg highway, making it comparable to rivals such as the Chrysler Pacifica. Despite its emphasis on people hauling, this van can tow up to 3,500 pounds. It also has a highly flexible interior with flat-folding seats. With active torque control, the all-wheel-drive Sienna has an all-weather traction advantage that you won’t find on any other minivan today. Keeping it more affordable, AWD is available on LE, XLE and Limited editions. With more power and greater handling, the family driver will feel more at ease behind the wheel of this rolling home-away-from-home. 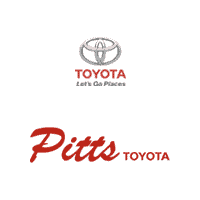 Check it out at Pitts Toyota dealer serving Dublin, GA.